Being a proud owner of a 4×4 doesn’t mean that you have to keep your vehicle as close as possible to the condition that you bought it in, but rather to keep upgrading it until it outperforms current generations (if possible). The majority of the population that owns a 4×4 vehicle hasn’t even considered getting an aftermarket 4wd exhaust just because they already have one. But what they don’t know is that aftermarket parts have more to offer than OEM as they are not made to just fit the vehicle but enhance its abilities as well. 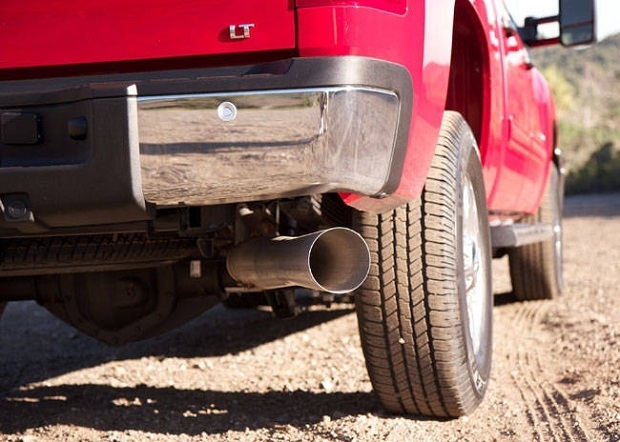 Because of this particular reason, in today’s blog post, I’m going to go through the advantages that a 4wd exhaust will give your off-roader. Buckle up and enjoy the ride. OEM exhausts are very limited in order to provide a more silent operating of the vehicle, which prevents the vehicle from unleashing its true power. With aftermarket 4wd exhausts you will give your 4×4 the freedom it needs to become more fuel efficient. With OEM exhaust systems you are just making your vehicle less efficient and thus end up spending more money on fuel. An aftermarket system may not provide you with a quieter running vehicle but it will at least help you cut back on your expenses. An aftermarket 4wd exhaust system will improve your torque and power greatly as it has wider diameter pipes. Thanks to these type of pipes the airflow is more consistent as the engine isn’t struggling as much as it does with an OEM part. Also, there’s more air coming in which will help the vehicle to have quicker takeoffs as well as a better overtaking power. With fewer restrictions, your ride will be able to produce more power and torque in the lower rev range. You 4×4 will become way cooler than it is with an OEM exhaust thanks to the fewer restrictions found in a 4wd aftermarket exhaust. This way the exhaust gases won’t be trapped in the pipes and will escape freely without choking the engine or overheating it. The temperature will decrease thanks to the consistent airflow escaping the system on time, which will also reduce any engine strain. You can also go for mandrel bent 4wd exhausts which are made to increase airflow without reducing the diameter of the pipes. If you need to replace your old exhaust, this is the perfect choice for you. You can go for an aluminumized steel exhaust or an even better option – a stainless steel one, which is obviously a more durable option. Rust can do some serious damage not only to your exhaust but to your vehicle as well as it can affect its performance greatly.